If you’ve received a consumer copy of your credit report, or if you have received a letter from a creditor because you recently applied for a loan, you may have noticed a list of “reason codes” with numbers and a short explanation of what the number means. This explanation is usually vague, and most people don’t understand what it is saying. If you ever find yourself scratching your head about these codes, here’s a Web site that can help you in the future: ReasonCode.org. Here’s a screenshot of what ReasonCode.org will show for reason code No. 32. 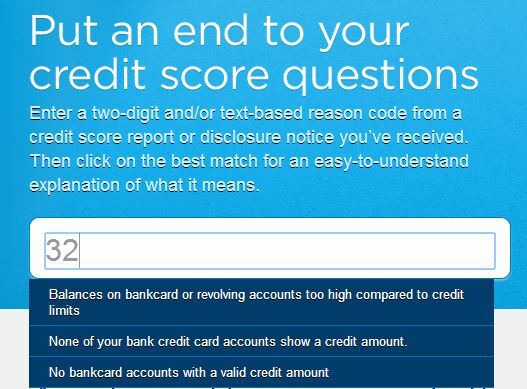 If you have any questions about “reason codes” or what you can do now to better your credit profile for a future home purchase, please feel free to call us if you’d like our help. We can also advise you what to do to increase your credit scores.